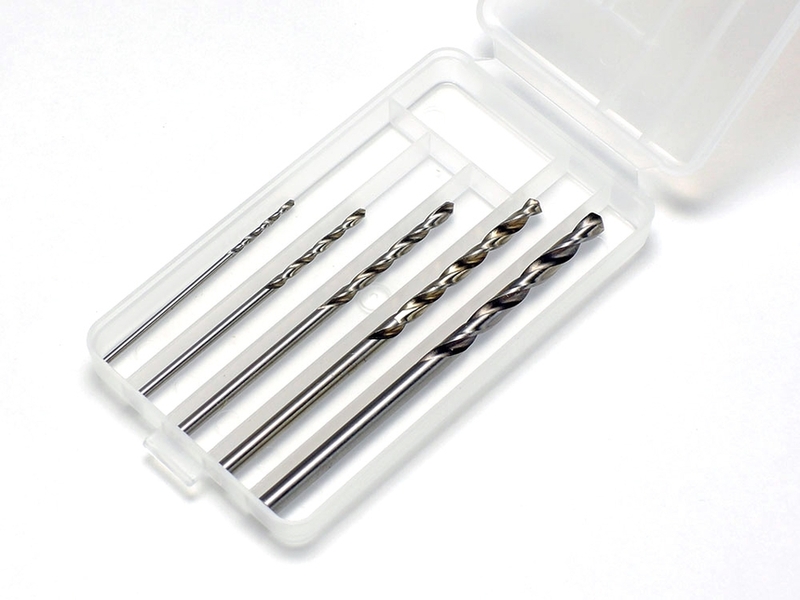 This is a 5-piece drill bit set used for various modeling applications. Combined with electric handy drills or precision pin vises they can be used to drill holes. The material on these drill bits are high-quality with a sharp cutting edge and provide long life.